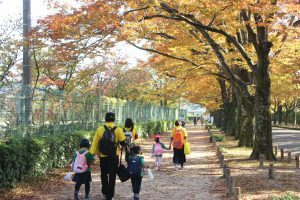 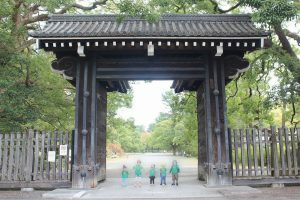 We had a field trip to Kyoto Gosho (Old Imperial Palace) under a clear autumn sky. 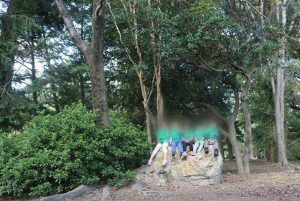 and have fun time to climb up the big rocks and trees and run around cheerly. 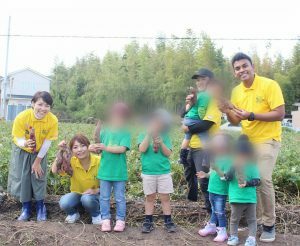 On a brisk autumn day, we went to the field trip to the sweet potato farm. 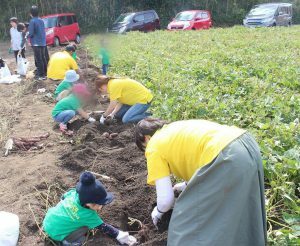 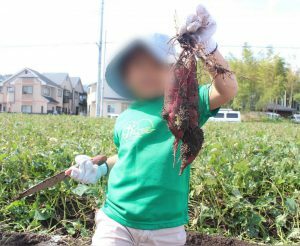 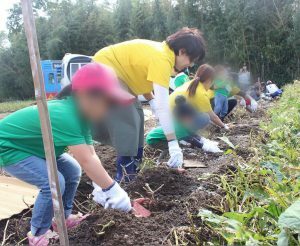 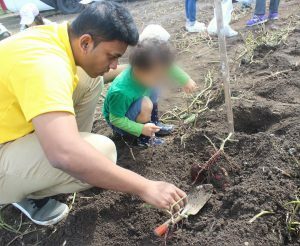 Students enjoyed digging and harvesting big sweet potatoes. 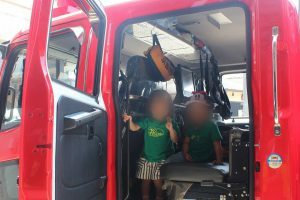 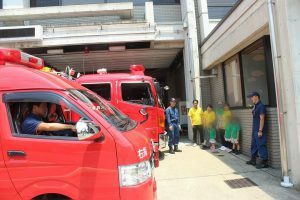 The students had a good experience, seeing the quick change of fire fighters, holding the real hose, sitting inside the fire engine, etc. 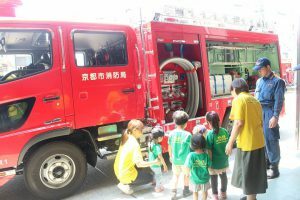 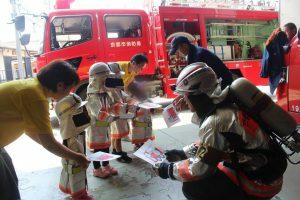 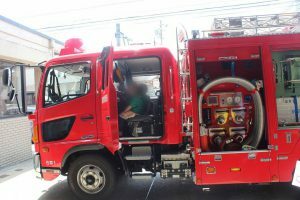 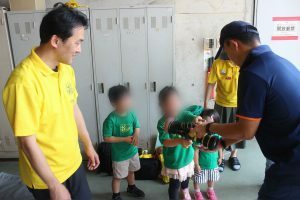 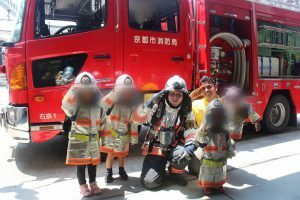 The students were listening to the explanation of fire fighters with sparkling eyes. 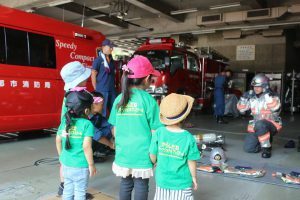 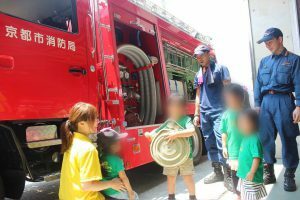 We thank all the members of Ukyo Fire Station. 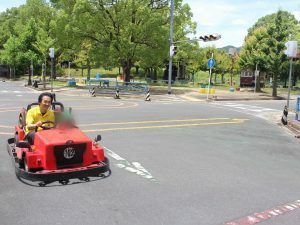 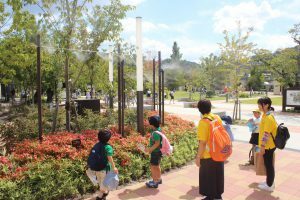 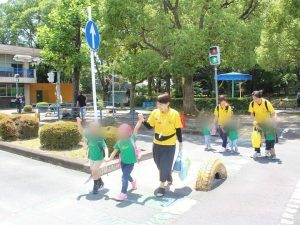 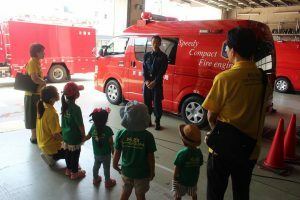 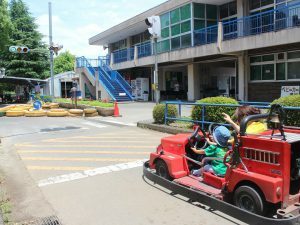 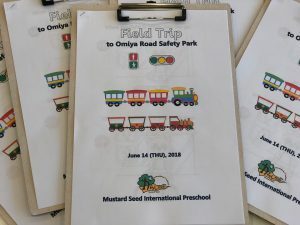 Field Trip to Omiya Road Safety Park. 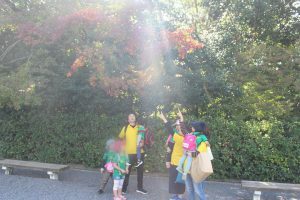 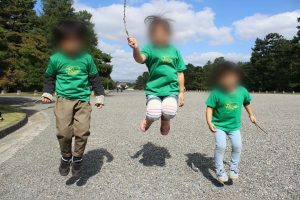 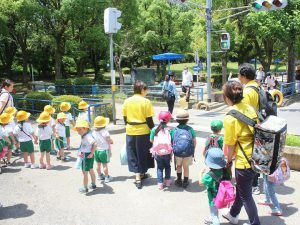 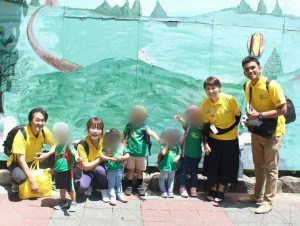 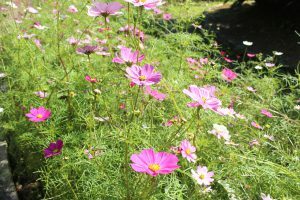 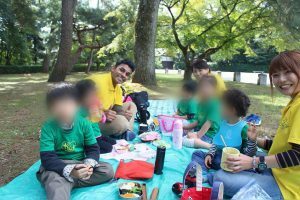 In the nice weather of May, we went to Keihoku Chapel as a field trip. 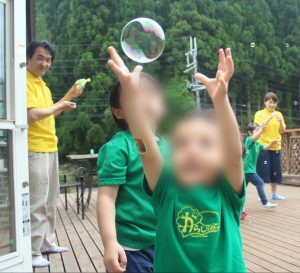 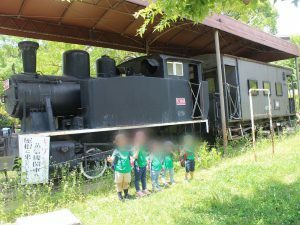 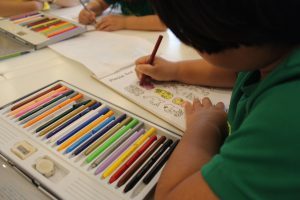 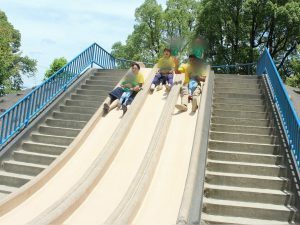 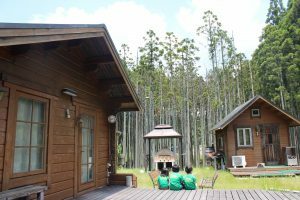 In the large deck and the chapel situated in nature, students ran about and fun laughter echoed in the area. 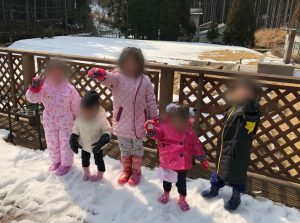 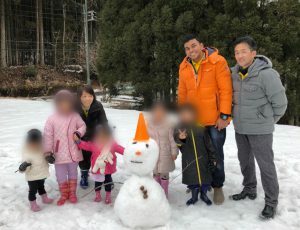 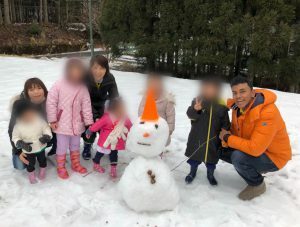 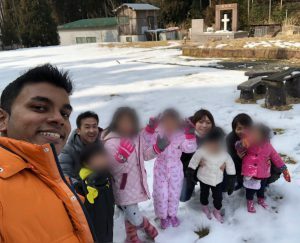 We enjoyed snow activities at Keihoku Chapel. 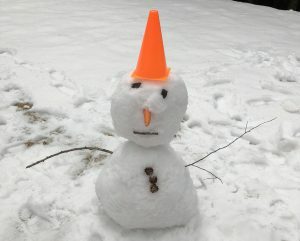 We made a snow man, too! 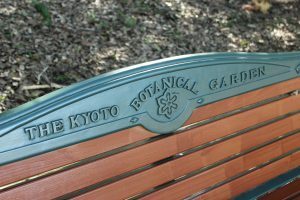 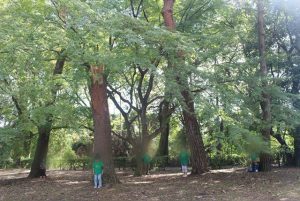 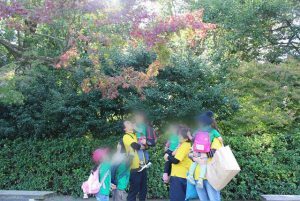 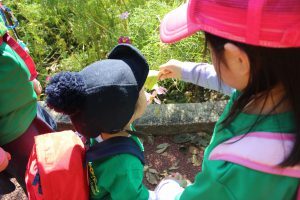 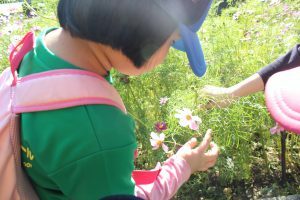 Field trip to Kyoto Botanical Garden! 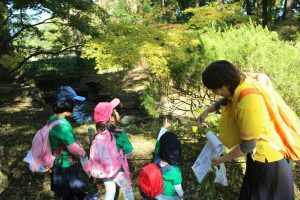 Students ENJOYED learning about Autumn plants. 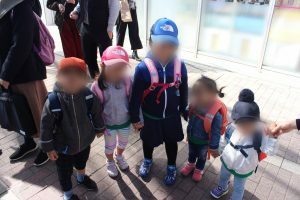 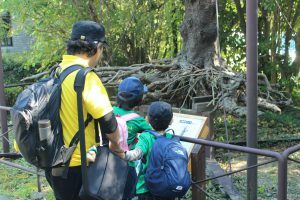 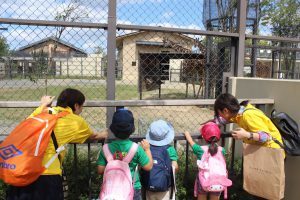 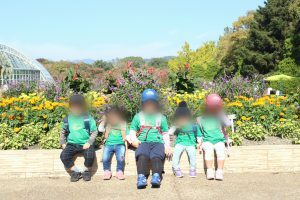 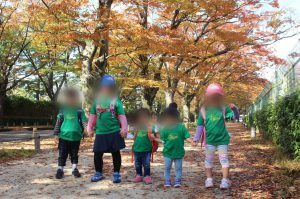 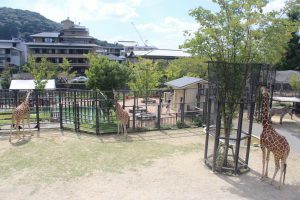 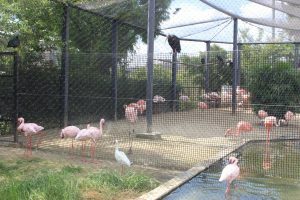 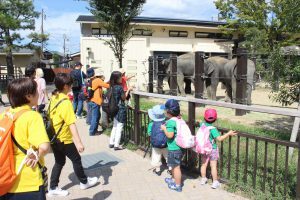 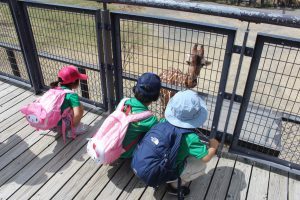 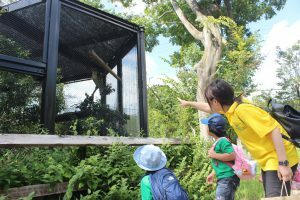 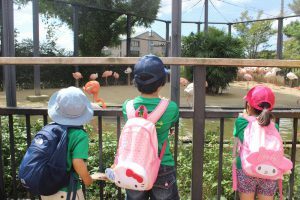 Field trip to Kyoto Zoo! 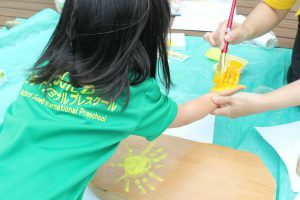 We had a FUN learning day! 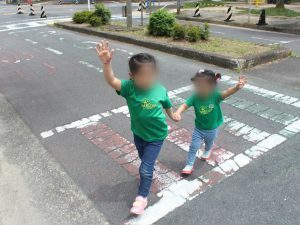 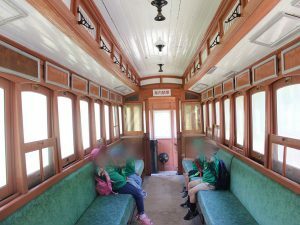 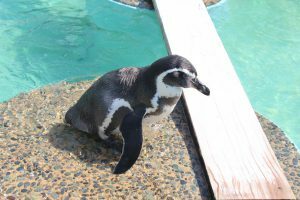 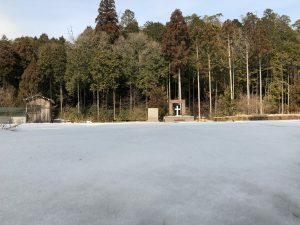 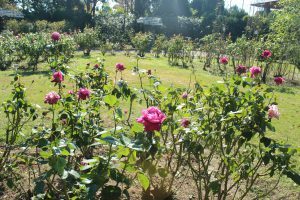 Day trip to Keihoku area! 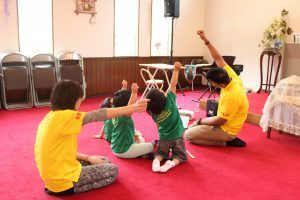 Field trip to Keihoku Chapel. 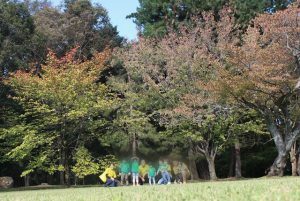 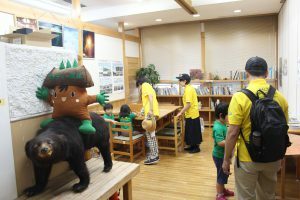 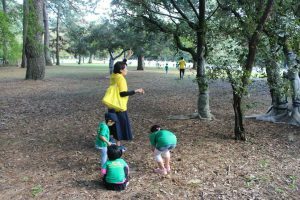 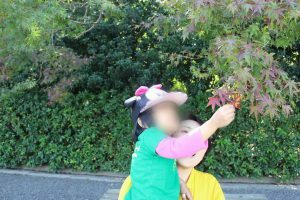 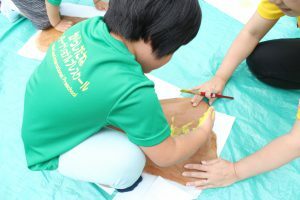 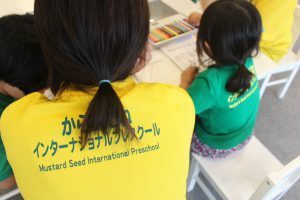 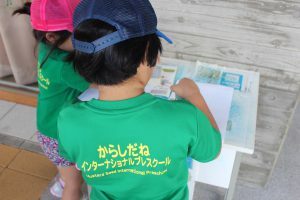 Hand painting activity on “Yakusugi” Japanese cedar wood plaque–more than 500 years old tree!